You make a little hole in the cap…. Events like this drive Helmut Lemke’s curiosity. Since he started his journey into the world of sound more than 30 years ago, he investigated sounds that are around us, some are obvious, some are familiar, some have to be found… and he has performed and exhibited process based work responding to his investigations. Sound, the audible, the inaudible and the imaginable, is the basis of Lemkes’ work. 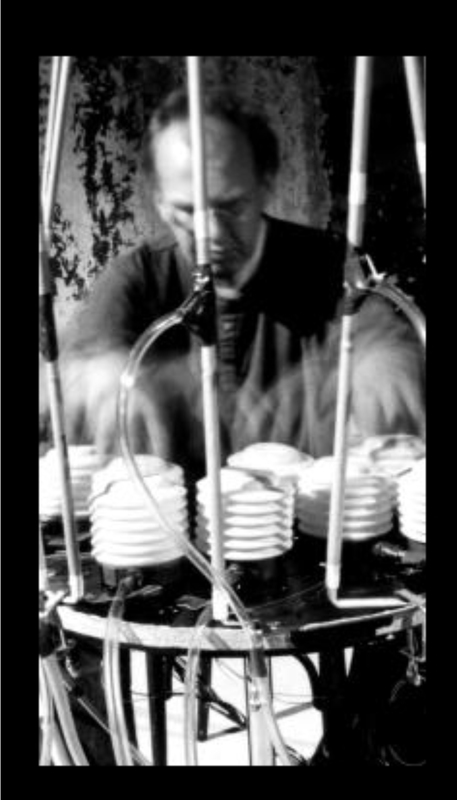 Since 30 years he presents process based results of his investigations into site specific sound. He has performed Concerts and Performances and exhibited Installations all over Europe and Japan, Korea, Vietnam, Thailand and Singapore. His activities include Organisation & Management of Projects / Symposions / Festivals. He has collaborated internationally with musicians, visual artists, poets, dancers, scientists, performers and Filmmakers. He was Research Fellow in Interactive Arts (Media Events) at Manchester Metropolitan University in 1997 and currently holds an AHRC-Fellowship at the University of Salford in which he researches the questions in how far sound is an appropriate tool for the representation of an environment at a specified time. His Research has taken him to Upernavik/Greenland, Reykjavik/Iceland, Koppelo/Finland and other places in Europe. From 1989 to 2001 Lemke ran the Label edition el C for the documentation of contemporary sound art practice.